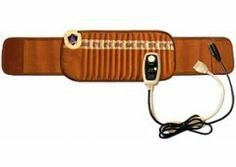 Richway’s Amethyst Bio-Mat’s uses far infra-red heat to increase the body’s core temperature, deeply calm the mind and body, reduce pain and inflammation, increase immune system activity, detoxify the body, and increases circulation. The negative ions produced by the mat purify the body increase cellular activity and purify the blood. And the Amethyst crystals increases the ability of the infra-red rays to penetrate deeply into the body, as well as deeply calm the nervous system. Call now to order your own biomat! Experience the Biomat for yourself during a session! The Bio-mat mini is filled with amethyst crystals and tourmaline. 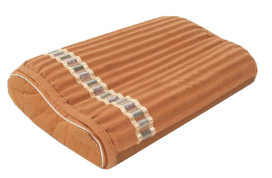 It emits far infra-red ceramic heat that increases the body’s core temperature, deeply calm the mind and body, reduce pain and inflammation, increase immune system activity, detoxify the body, and increases circulation Built for Professional or Home use, the Mini BioMat is very versatile. Comes with a single control panel with travel bag + 100% cotton quilted cover. This multi-purpose unit is great for your desk, travel, pets, sleeping, easy chairs, waiting rooms, Med-Spa, Dental & Office Chairs, or anywhere a contoured shape is needed. Bio-Mat Pro uses far infra-red ceramic heat to increase the body’s core temperature, deeply calm the mind and body, reduce pain and inflammation, increase immune system activity, detoxify the body, and increases circulation. 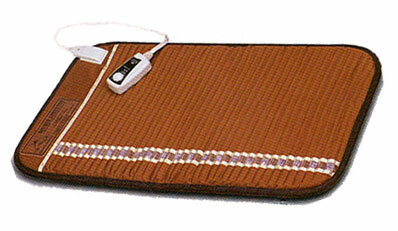 The negative ions produced by the mat purify the body increase cellular activity and purify the blood. And the Amethyst crystals increases the ability of the infra-red rays to penetrate deeply into the body, as well as deeply calm the nervous system. Call 720-689-1261 with any questions about the bio-mat today! This special pillow is filled with layers of amethyst and tourmaline crystals. It is designed to keep the head safely cool during hot far-infrared treatment. The memory foam pillow conforms to your head and neck to ensure and anatomically supportive sleep posture. Features a specialized shape to provide additional support for your neck while comfortably cradling your head. Unlike the other Biomats, the Biobelt has eight different stones that produce smooth infrared rays, including Amethyst, Green Jade, Tourmaline, Crystal, Citrine, Topaz, Elvan and Tiger Eye. Infrared rays are produced, which are waves of light that warm the body from within and raise the surface temperature of your body, relieving minor back and muscle pain and increasing local circulation where applied. Infrared heat penetrates your muscles and dialates the blood vessels, increasing the amount of nutrients and the flow of oxygen. This helps repair damaged tissue. This healing warmth relaxes and softens muscles, relieving pain and stiffness. This therapy stimulates the sensory receptors in the skin, diminishing the pain signal transmissions to the brain, also helping to add to your comfort. Call 720-689-1261 to place your order today! Receive commission from your direct sales. Receive multiple bonuses and benefits. Work at your own pace – without time pressure. You never go backwards, only forwards! Introducing people to the Biomat and our other products is easy – most of it is simply demo-ing the products. Most people instantly experience a positive change in their well-being after as little as 10 minutes on the Biomat. As a distributor, you can help people to develop their own connection to the products and let the product sell itself. If you have a practice or business where people can regularly experience the Biomat, becoming a distributor will be a way for you to help expose the wonderful benefits of these products, and be financially rewarded with an additional stream of income at the same time. And, it only costs $80 to become a distributor for a whole lifetime!